If you’re reading this and you’re a U2.com subscriber you’ll know that in a touring period you get special access to take part in ticket presales. You may also know that the live concert world has been facing some challenges from scalpers and bots. That’s why Ticketmaster have introduced VERIFIED FAN, the latest step in ensuring that tickets get into the hands of real fans, not scalpers or bots. 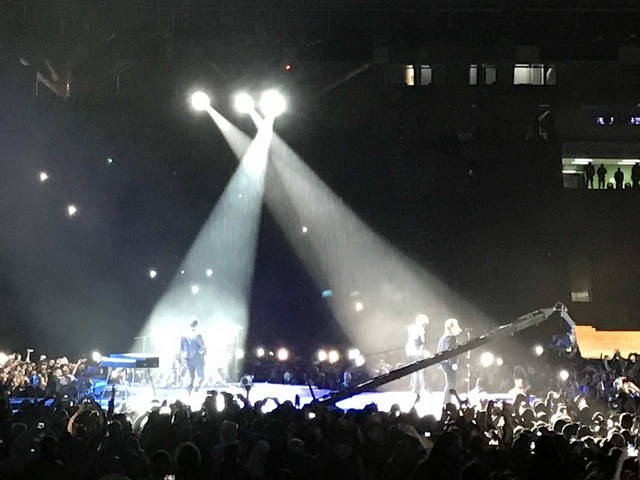 With tickets for the eXPERIENCE + iNNOCENCE Tour going on sale later this month, the VERIFIED FAN initiative now comes to U2 fans - including U2.com Subscribers. Subscriber ticket presales for the eXPERIENCE + iNNOCENCE Tour in North America open on Tuesday November 14th, with tickets going on general sale on November 20th. * See your profile page when logged in for Setup status. If you’re planning to take part in the U2 Verified Subscriber presales, these are the steps you need to take before 10pm ET / 7pm PT on Sunday, November 12th. 1 - Connect your (North America) Ticketmaster account with your U2.com account. If you do not have a Ticketmaster account, you must create one to move forward and can do so from the Account Info page. 2 - Enter a valid mobile number where you can receive SMS messages. You do not need to enter the country code, be sure to select the correct flag from the dropdown. 3 - Agree to receive SMS messages by clicking the checkbox at the bottom of the form. Be sure to click ‘SUBMIT’ once you complete these steps and make sure you see the green “SETUP COMPLETE” icon. .
See our FAQs for additional information. And of course, once you are confirmed as a U2.com Verified Subscriber you will be entering the presales ahead of all other Verified Fans. Open to Citi cardmembers only. Registration closes November 14 @ 10PM PT. Presale begins November 16. Register here. Open to everyone. Registration closes November 18 @ 10PM PT. Tickets on sale November 20. Register here. Im gutted to see that U2 don't have a date for Scotland! We are the best audience on the planet and fill your gigs DO IT!!!! I got my tickets this morning and it was the easiest I had ever experienced. I think your on to something here. Love U2! See you in June. It is a bit sad that Australia and New Zealand do not get a mention. Are we going to see the boys back down under anytime soon? I’m planning on trying for Vegas tix but also hoping they’ll add Denver to the list at some point. My bestie and I want to go together again. We’ve been to every show since the Zoo tour. But finances won’t allow us to both go to Vegas. Tix on sale too close to the holidays. 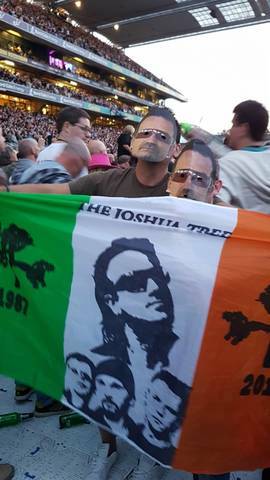 Already sweating about the dates the new tour will hit Dublin as I have my holidays booked, any chance that you can play after July lads, because I don't wanna miss it, great day at the Joshua's tree in Dublin, seen every tour in Dublin since the Joshua tree 30 years ago. I know I have not even heard the new album yet, but my interest in what's ahead always remains. I liked to see the orientation of channeling the inspiration of the lyrics through an author who was already dead. It reminds me a lot of the narrative of the romance written by the emblematic Brazilian Machado de Assis, "Memórias Póstumas de Brás Cubas", where the narrator decides to tell his life after his death, in addition to exposing in an ironic way the privileges of the elite of the time. It also recalls the plot of Billy Wilder's "Sunset Boulevard," which is a cruelly bitter perspective on the film industry. There are similar traits between these two works that go beyond the "deceased-author", there is sad, desolate, hopeless, and tragic environment for a specific social and cultural context. Of course I believe that this negative connexion was not what prevailed in SOE, but a tone of healing through amusement, a tone of reason through counsel and clairvoyance through obscure irony. From this perspective, I think that the next work may be even more focused on something dystopic, apocalyptic or futuristic, and that the author subject may still be the same (already deceased), as could be those subjects who were previously advised. Arcade Fire is an example of band that likes the theme of an apocalyptic world, coming from a distance from society to reality that is living without contemporary technologies, or against an exaggerated approach to consumerism. However, they still reserve some pleasure in living in this chaotic context. But I like to exemplify with my local reality, Brazil. The Brazilian band Rappa recurrently adopts themes such as violence, illness, drugs, loss, the dream in a reality of misery, etc. They sing a dystopian environment very close to the reality of their early career, and not coincidentally, what they sang became an increasingly cruel reality. The band is so intense with these themes that unfortunately I think the audience at the shows get a bit aggressive because of that. However, sometimes, I think it is due to the lack of artistic representatives who portray this Brazilian chaos, in particular with the public security crisis that has happened in the city of Rio de Janeiro over the last few years. A lack of public policy that serves as a prototype for what has been happening all over Brazil. For example, Rappa has songs like "Tribunal de Rua" and "Se Não Avisar o Bicho Pega" (both from the album "Lado A Lado B") and Tumulto (from the Rappa-mundi album), which I like to sing with the full lungs and that portrays with magnifying glass the spurious laws coming from drug trafficking, the population of favelas and Rio hills that live with laws imposed by traffickers, such as the law of silence. On the one hand the police, a representative of the state, who climb the hills in armored cars (caveirão) and that has been inefficient in the fight against trafficking, using an ostensive policy, which leaves a high number of deaths. On the other hand there is the militia which, in an organized and unofficial manner, charges kickbacks in exchange for security. In other songs, it inspires the capacity of this social and cultural context to find a little happiness, even if it is inert in the chaos of urban violence, as in songs "Me Deixa", "O que Sobrou do Céu", "Minha Alma" (from the album "Lado A Lado B"), "Eu Quero Ver Gol" (from the album" Rappa-Mundi "), but there are also songs that portrays the honest worker's courage and cultural miscinggination in this environment, even in the face of adversities, such as "Lado A Lado B", "Homem Amarelo" (from the album "Lado A Lado B"), "Rodo Cotidiano", "Mar de Gente" (from the album "O Silêncio que Precede o Esporro") and the beautiful song "Pescador de Ilusões" (from the Rappa-Mundi album). Sometimes this brazilian band still breathes faith as an engine that encourages survival in diversity, as in the song "Reza Vela" (from the album "O Silêncio que Precede o Esporro"), "Meu Santo Tá Cansado" (from the album "7 Vezes") and" Meu Mundo é o Barro" (from the album" 7 Vezes"). Anyway, that's what I wanted to share with you at this moment. I've praised on different occasions "You're the Best Thing About Me" and "Blackout", and I can not remain indifferent to "Get Out of Your Own Way". The song fits perfectly to a sound that U2 introduced and explored well with what was said to return to "roots" on the single "Beautiful Day", but that the band had not, in fact, until then, revisited that progressive rock. I believe that the background vocals and the beautiful lyrics combined with the progressive drums of the song will once again make a perfect song for performances. I'm eager for "Songs Of Experience". See you. Thanks for choosing Montreal for your only Canadian date. Sorry Toronto and Vancouver but you had them this year and we didn't and they did the right thing by giving every major Canadian city a chance. See you in June and I'm bring my teenage kids!! Hate that you have to have a cell phone for "verified" ticket purchases, in order to take advantage of the early pre-sale. (I have an old flip phone with no texting options. It may sound old school, but my plan is only $100 per YEAR and works for my purposes.) Yep--corporations do in fact rule the world. Are U2 honoring corporate agreements with Apple and Citi Group with their pre-sale options. (Hey--where's the MasterCard discount?) Anyway, it's my personal choice to not upgrade my phone, I realize. However, I do have friends who are not financially able to do so..... Looking forward to the new U2 album--but won't be seeing the lads on tour and will probably be canceling my subscription. I think I've outgrown their corporate ways. Which will be the european dates? Especially in Dublin!! Seen every tour in Dublin since the Joshua tree 30 years ago, cant wait to see u2 again. After the brilliant 2017JT Tour I cant wait for the brand new album and 2018 gigs! But not Twickenham again. Its a pain to get to unless you live south of London! Any plans for Australia on this tour? We missed out on the last 2 (Songs and Joshua Tree) - third time lucky?? the greatest rock band to ever inhabit the PLANET! getting my first tattoo at 57 yrs. young,,,U2 and the boys will be on my back before the Chicago gig. love and peace guys. I was totally in love with the Joshua tree tour. 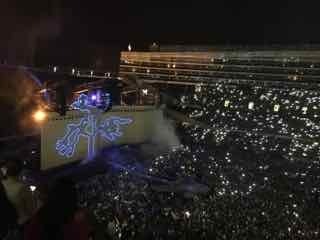 I personally like hearing all the songs that you don't play on yours where you mix it up I have now seen 35 shows and liked the Joshua tree tour the best Would you guys consider doing other albums start to finish. When are they coming to Toronto? Cant wait for Opening Night. "I'll see you again when the stars fall from the sky and the moon turns red over one tree hill" Been the hardest year of my life and U2 got me thru, dude!! Always and forever LOVE Brian. They are coming back to Nashville! I am so happy. I can't wait to see the "boys" again this summer! In these tough times in the U.S., listening to U-2 is my calming time!!! Oh Yea! Just want to shout out to the Boyz Bono, Adam, The Edge, Larry. Thanks for coming back just after the Joshua Tree Tour, Amazing! See you in Vegas, See you in Los Angeles. Keep on Rocking!!!!!!!!!!!!!! Bring It!!!!!!!!!!! Are there any dates for Europe 2018? Counting the days until June 9.